Healthy enough to be a breakfast but delicious enough to be a dessert. You gotta love that. You know what is even better? Mom’s love this! 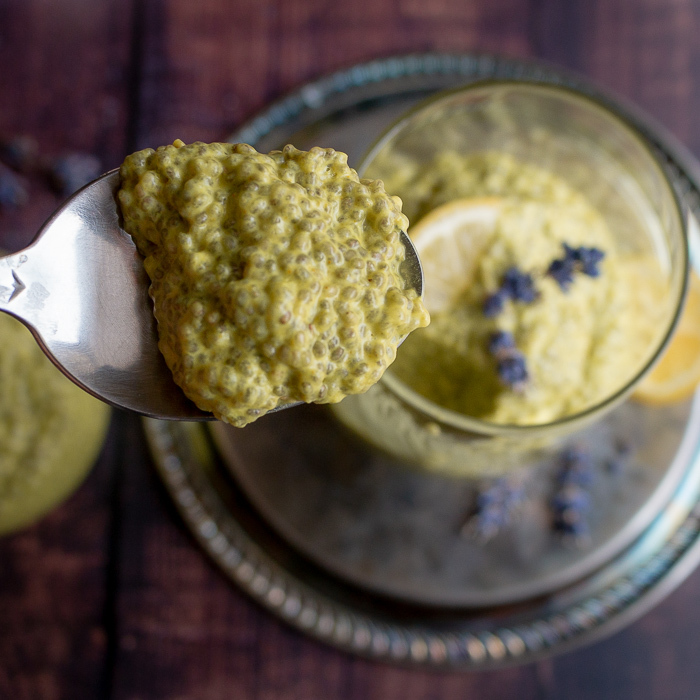 This Lemony Lavender Chia Seed Pudding is creamy, bright and slightly sweet. The perfect way to start the day. Dad’s and kids this is going to be your go to no cook easy recipe for breakfast in bed for mom on Mother’s Day. Have you jumped on the chia seed pudding bandwagon yet? We were hesitant at first because of the whole texture thing. Boy, we were wrong. A chia seed pudding is thick and creamy like tapioca pudding. When chia seeds are allowed to sit in a liquid, they plump up and thicken the liquid. Chia seeds are smooth and take on any flavor you add to your pudding or liquid. 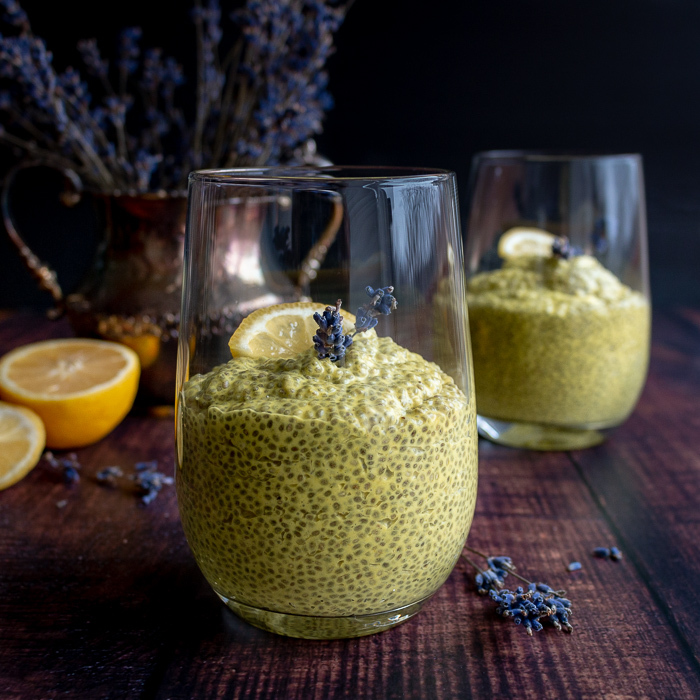 Be sure to try our Matcha Chocolate Chia Parfait, Lemony Lavender Chia Seed Pudding and our Spicy Chocolate Chai Pu-erh Chia Seed Pudding for other quick and easy breakfast or snack ideas. Spring has sprung and we are going all out with EVERYTHING Lemon and Lavender. After being cooped up all winter in snow, sleet and generally downright miserable weather for the last 5 months, we have severe spring fever. We are ready to lighten and brighten up our menu. Lemon and lavender are just the ingredients to awaken your senses. The fresh bright aroma of the lemons and relaxing lavender is that perfect bite of spring. Be sure to check out our delicious Honey Candied Meyer Lemon Slices and our Icebox Lavender Lemon Angel Food Cake. In addition, our Lemon Lavender Goat Cheese Spread is the perfect starter for any spring or summer gathering. Are you lactose intolerant? When we have milk, ice-cream, yogurt or some cheeses we end up looking like we are about 7 months pregnant and feel so uncomfortable. We have found that if we just use a delicious dairy alternative, we feel great. One of our favorite go to dairy-free products is oat milk. Have you tried oat milk yet? Oat milk is delicious in this recipe. Feel free to use coconut milk, almond milk, soy milk or regular milk if you are not dairy sensitive in this recipe. They all work well. What’s the correct ratio of chia seeds to liquid to make a pudding? The amount of chia seeds you use really depends on how thick you like it and how long you are willing to wait to let it gel. 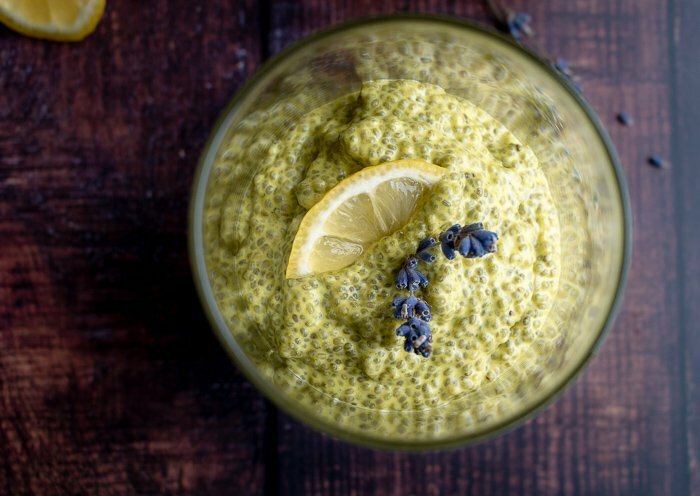 We like our Lemony Lavender Chia Seed Pudding quite thick. Our chia seed to liquid ratio is about 2 cups of liquid to 2/3 cups of chia seeds to make 2 servings of pudding. If you like your chia seed pudding a little looser, then reduce the amount of chia seeds by ¼ cup. 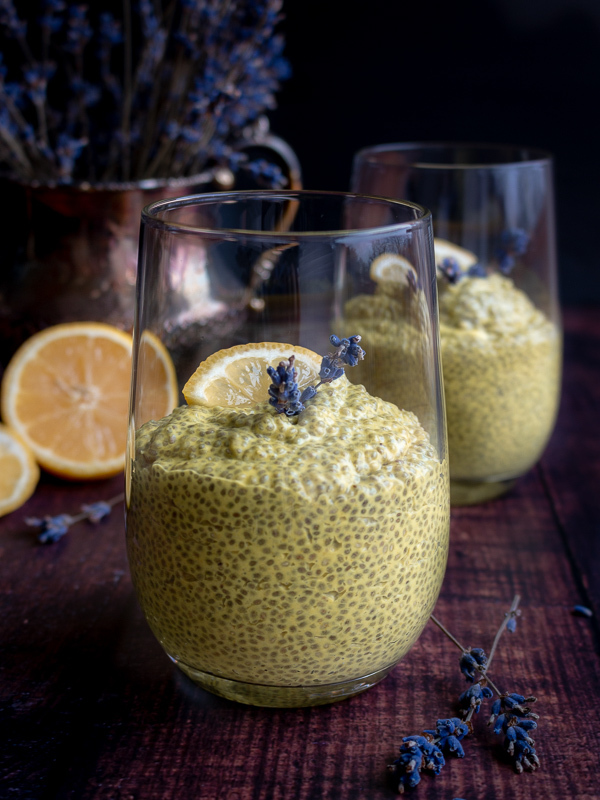 Our Lemony Lavender Chia Seed Puddings were ready to eat after 2 hours of refrigeration time. However, they are thick and delicious after sitting overnight in the refrigerator. 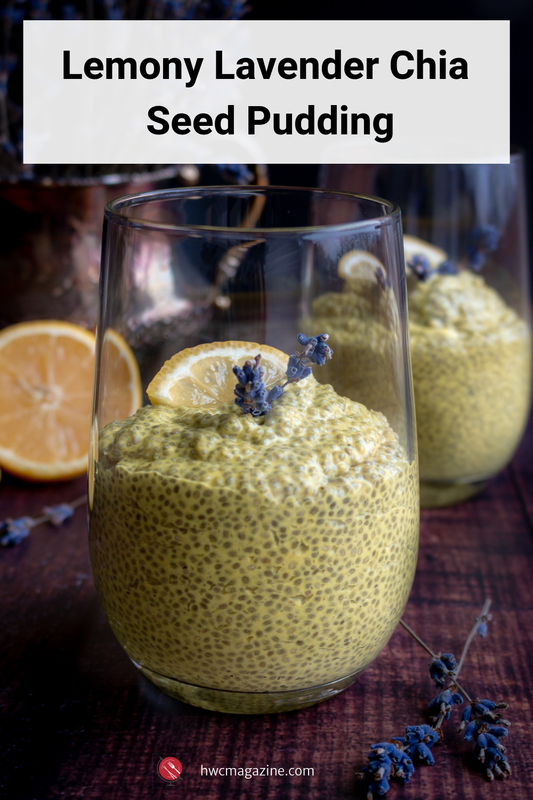 Not only does the ground turmeric powder give your Lemony Lavender Chia Seed Pudding a beautiful golden glow, it warms you up. According to Traditional Chinese Medicine (TCM), lemons are considered a cooling food. The balance between the heaty turmeric and cooling lemon are pleasing. Lemons are very good for people that have a heaty disposition and have issues with their liver and liver fire. Coming soon to a monitor near you we will be sharing a post about the liver according to TCM and a meal plan. Stay tuned. 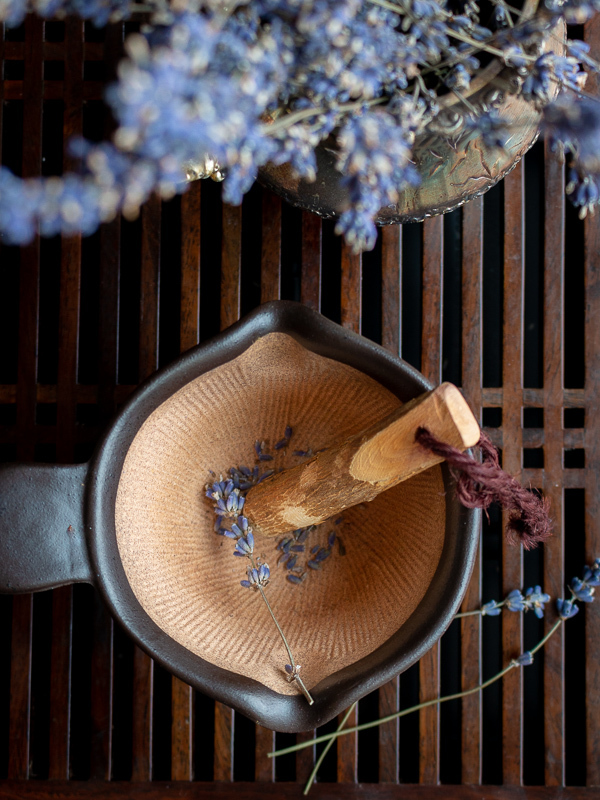 A daily dose of lavender is a preventative way to reduce stress. A little dried lavender or lavender essential oil is way cheaper than a day in therapy… LOL. Really, life just sometimes gets out of hand. We are pulled in a million directions and have so much responsibility. It been tough keeping up. Do you know the first thing to suffer is your health? We are certain you are working extra hours, taking extra time with your kids and sick and aging parents. What about yourself? When is the last time you have done something just for yourself? Ha! I bet you can’t even remember. 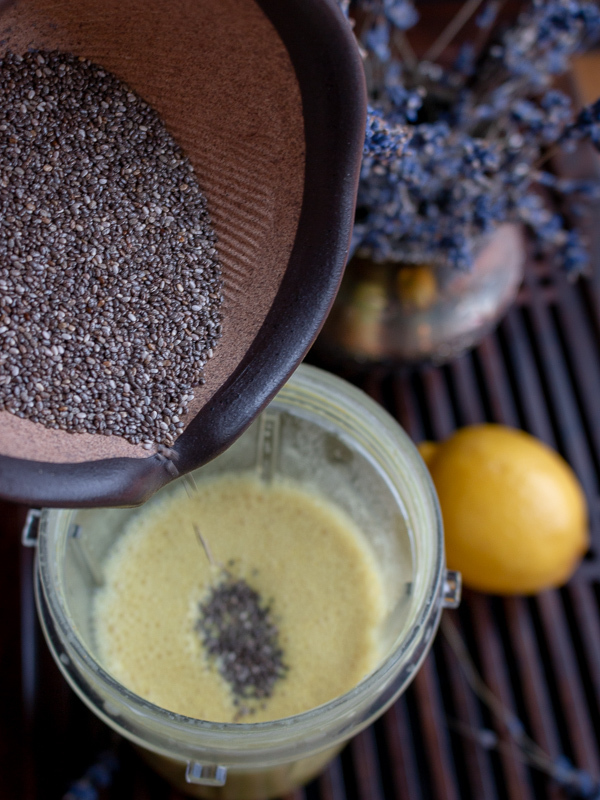 A little dried lavender or lavender oil in your Lemony Lavender Chia Seed Pudding is the perfect stress buster. In addition, the fresh burst of lemons is just what you need to brighten your day. 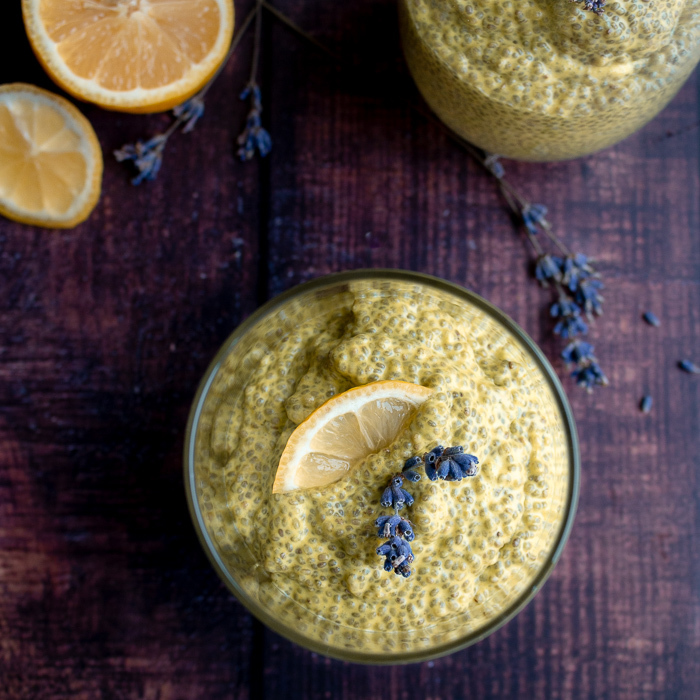 1Add 2 cups of oat milk, 2/3 cups chia seeds, 1 teaspoon of ground turmeric, 2 tablespoons lemon zest, 2 tablespoons of fresh lemon juice, 1 teaspoon of dried ground culinary lavender(or 4 drops of culinary grade lavender essential oils) and mix well. We put ours in a container with a lid and shook it well. 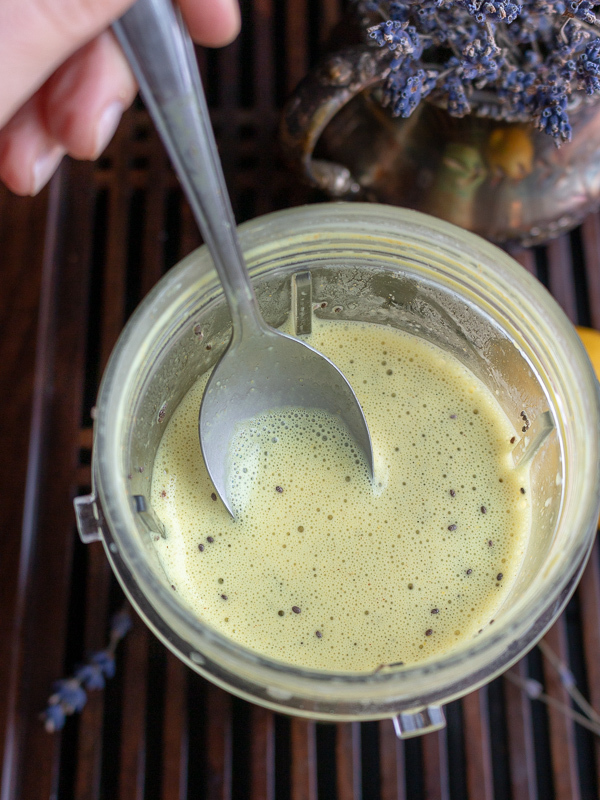 2Place your Lemony Lavender Chia Seed Pudding in the refrigerator for at least 2 hours or overnight and enjoy. Best enjoyed within 3 days of preparation. Garnish with fresh lemon slices and lavender sprigs if desired. 3Chef’s Notes: Feel free to exchange oat milk with dairy-free or dairy of choice. We like our chia seed pudding thick. If you prefer to have a looser chia seed pudding, reduce chia seeds by ¼ cup. If you do not have culinary dried lavender or kitchen grade lavender essential oils, just omit this item. The fresh lemon flavor and aroma will brighten your day.